The mini iPad is on the straight and narrow, Apple and Samsung try to straighten things out, and the man who broke into Steve Jobs’s house may go straight after his arrest. The remainders for Wednesday, August 15, 2012 are straightforward enough. 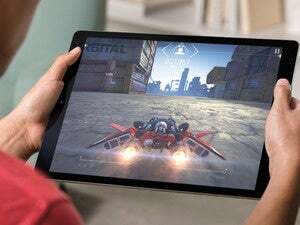 We’ve moved from rumors about the next iPhone to those of the 7-inch iPad, which has now been dubbed the “iPad mini.” According to details obtained by iMore, the smaller tablet will supposedly feature a narrower screen, and be very, very thin. So thin, in fact, that if you turn it sideways, it ceases to exist. Judge Lucy Koh, who’s been presiding over the Apple-Samsung trial, has asked the two companies to try and work things out in a settlement one last time before the trial concludes. And then the entire court room went into a slow-motion montage, backed by The Beatles’s “We Can Work It Out.” Or was that just me? Because who hasn’t wanted to mount their iPad on a pair of slick-looking, self-balancing wheels? Now you can turn your Apple tablet into a full-fledged telepresence robot, which you can control remotely via a second iPad. And now I know exactly how I’m going to start creeping out the rest of the Macworld staff. The man who burgled the late Steve Jobs’s house was tracked down thanks to Apple technology. After pilfering the Apple co-founder’s house of multiple Macs, iPods, iPhones, an Apple TV, and a iPad—oh yes, and jewelry, Cristal champagne, and kitchen appliances—Kariem McFarlin made the mistake of accessing his iTunes account with one of the pilfered iPads. Which gives me an idea for a brand new app: Find My Burglar.